Nathaniel (Nat) D. Williams (19 October 1907 – 27 October 1983) is not known as a musician but rather as promoter and as a radio personality at WDIA Radio in Memphis. 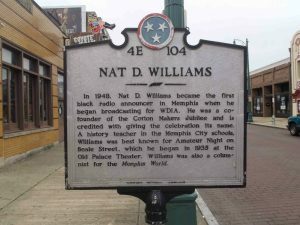 There is also a Tennessee Historical Commission marker on Beale Street in downtown Memphis commemorating Nat D. Williams. 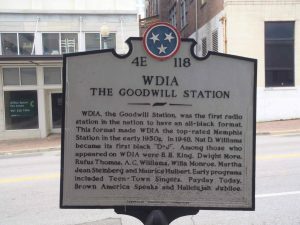 In 1948, WDIA wanted to convert to an all black on air format to market the station to Memphis’ African-American community, which made up 40% of Memphis’ population but which was very under served by radio programmers and marketers. WDIA hired Nat Williams, then a high school teacher but also a syndicated newspaper columnist, to do a radio show aimed specifically at Memphis’ African-American community. Nat Williams’ “Tan Town Jamboree” first went on air on WDIA on 25 October 1948 and quickly became a local hit. 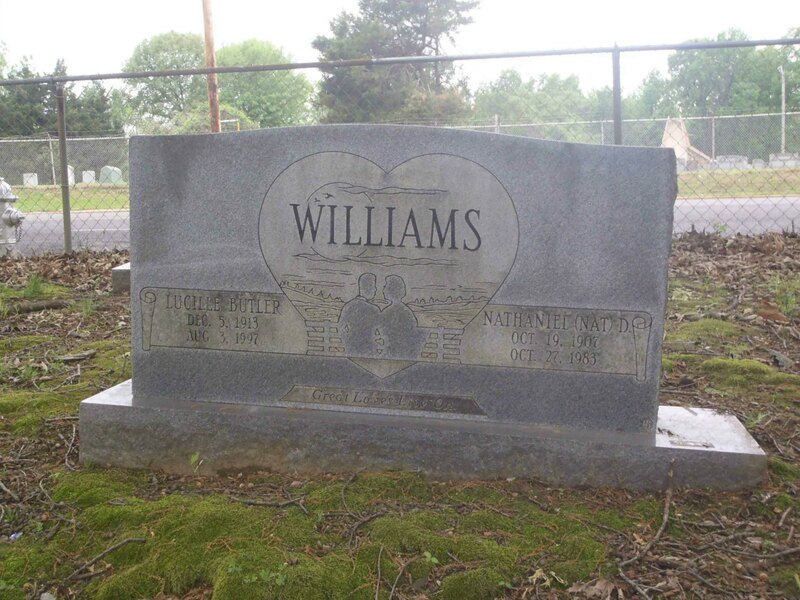 Other former WDIA radio personalities buried in New Park Cemetery include Rufus Thomas Jr. and A.C. “Moohah” Williams. Nat D. Williams was inducted into the Memphis Music Hall of Fame in 2012.